The appeal of paper cutting is that anyone can do it, the equipment is readily available, and the results are stunning. This totally fun and interactive book features inspirational ideas for crafters of all skill levels. 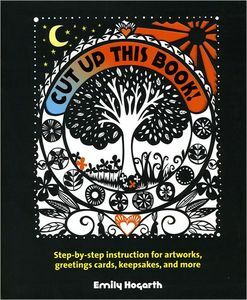 In an easy-to-follow, fully illustrated format, Cut Up This Book! shows readers how to create exquisite works of art. It provides all essential information from basic techniques to creative step-by-step projects. Customer service was exceptional! I ordered via telephone and received my purchase the next day. I will make future purchases from All Brands and refer others to this awesome company!